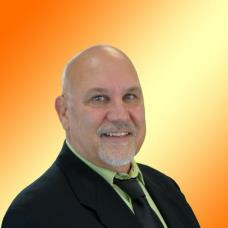 Jim Bylewski works as a personal real estate advisor sharing his knowledge as a consultant to his clients. Based in the Tampa Bay area, Jim is the expert to help you with all your home buying and selling needs in Hillsborough, Pasco, Pinellas and surrounding counties. Jim earned his Real Estate Licensed in 2009 and has continued to enhance his understanding of the market and all aspects of Real Estate throughout his career. Jim specializes in helping first time home buyers achieve the dream of home ownership, helping sellers achieve their goals, and bank owned REO properties. He is especially passionate about helping sellers who have hard to sell homes or who are in a short sale situation. His multi-faceted expertise is of great benefit to his clients Jim understands the stresses and hassles involved in the buying, selling and relocation process and strives to alleviate these concerns for his clients. To best meet his client’s needs, he uses the latest internet technologies to market and find homes at an expert level. He believes that education is paramount to exceeding his client's expectations and has advanced his real estate education earning the designations of Certified Distress Property Expert (CDPE), Broker Price Opinion Resource (BPOR) and Senior Real Estate Specialist (SRES). Jim is a member of the Greater Tampa Association of REALTORS® (GTAR), Florida Association of REALTORS® (FAR) and National Association of REALTORS®. In Jim's free time, he enjoys travel, adventure, reading non-fiction books, and beaches. Whether buying or selling, be it your first home, your last home, or building your investment portfolio, Jim has the knowledge and experience to deliver the unsurpassed service you deserve. He can't wait to help you achieve your dreams as he has helped so many clients before. Call, text, or email Jim Bylewski today to start making your Real Estate dreams realty!